It’s the distant future and mankind has taken a galactic leap forward through space, time, and technology. Life as we know it struggles to endure on the ABADDON. Once the home of a mysterious, non-human civilization, the planet is now a desolate wasteland bearing one immensely precious resource: Feronium power crystals. The unimaginable energy contained within the crystals is coveted by two groups of humans: the Satellite City-States and the Commonwealth Alliance. Using giant bio-mech suits called Links, made from modified military vehicles and alien technology; the warring factions fight a weary battle for territorial control of the ABADDON. At your disposal is a huge, 28” x 19” battlefield game board with 32 highly-detailed mech figurines, 18 free-standing landscape terrain features, over 100 game-changing Wild Fire and Weapon System cards, dozens of tokens, battle dice and a Battle Manual containing over 15 mission scenarios. Choose your allegiance and lead your army in non-stop excitement as you forge through unforgiving terrain, fight to overcome random and bizarre technological glitches, and battle your enemies in never-ending war. 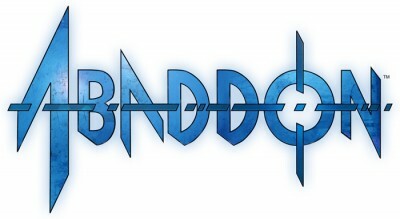 The fate of the future is in your hands as you race to survive and conquer the ABADDON! Follow Toy Vault on Facebook ( www.facebook.com/ToyVaultInc ) and Twitter ( www.twitter.com/ToyVaultInc ) to see exclusive Toy Vault content, including sneak peeks at our upcoming products!